New 62m Feadship mega yacht SEA OWL leaves her shed to begin sea trials – Superyachts News, Luxury Yachts, Charter & Yachts for Sale. 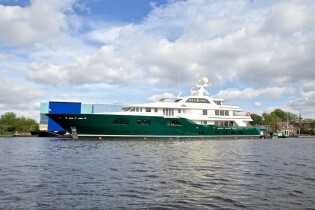 In every respect, Sands said, M/Y Sea Owl is, “a true work of art.” Besides its breathtakingly beautiful interior, the owners’ vision for Sea Owl called for highly modern and complex technical specifications, including an extraordinarily sophisticated security system that both yard and owner’s team regard as possibly the most elaborate ever built into a yacht. 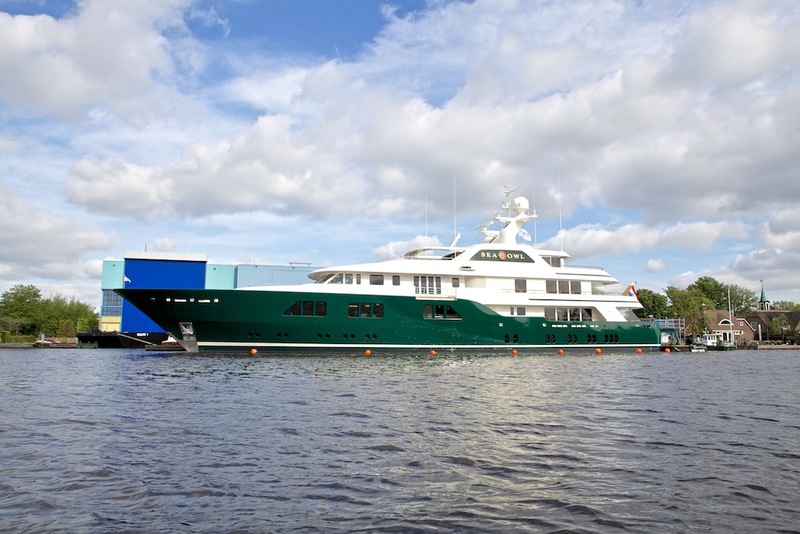 The combination of a jade-mist-green hull and an oyster-white superstructure is a theme that has been seen on the owners’ previous yachts, although never quite to this degree of intricacy. A wealth of varnished wood has also been used on the exterior, the tones of which are exquisitely brought to life by these colours. While few details are being released about the interior, we can reveal that Sea Owl superyacht contains an extraordinarily detailed selection of hand carved pieces, sculptures, petrified wood items and marbles. The owners are very family-oriented and this is reflected in the facilities on board for the younger generation, which range from a magical array of toys and games to a thematic decorative scheme. There are two dedicated children’s cabins on board luxury yacht Sea Owl as well as the owners’ stateroom and three guest suites. In the end, Sands said, the owners are so pleased they have agreed to a limited release of information about Sea Owl in order that the many achievements in her design and construction receive the recognition they deserve. Mega yacht Sea Owl is currently undergoing an extensive sea trial regime that will ensure the technical side of this phenomenal Feadship is equally as impressive as her visual appearance.